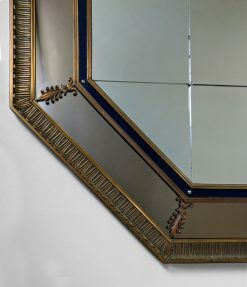 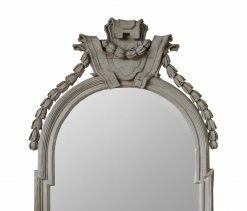 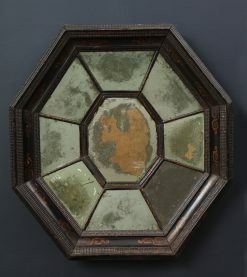 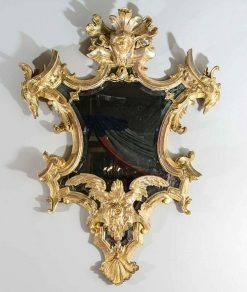 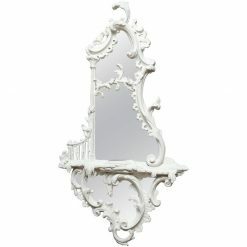 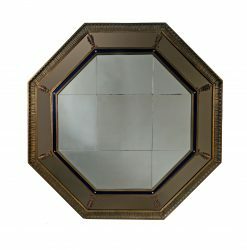 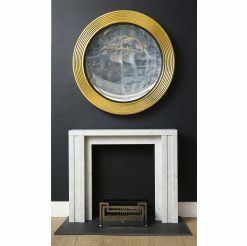 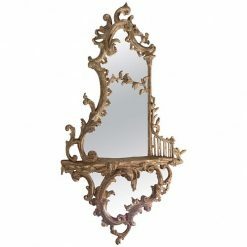 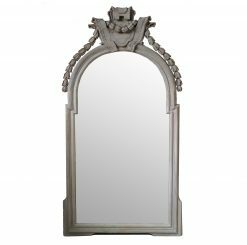 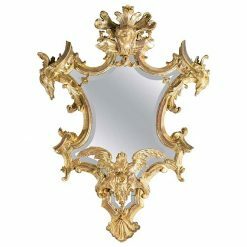 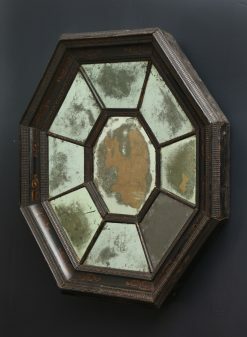 The heavily antiqued mirror plate surrounded by a dramatic frame composed of duck feathers. 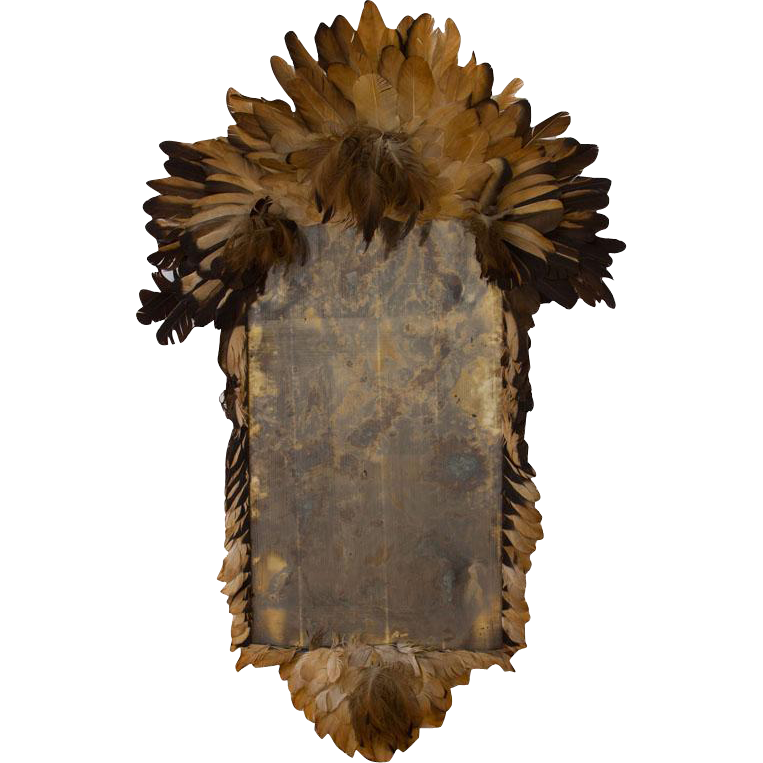 The cresting comprised of tail and wing feathers with carving or rocaille work simulated in contour and semiplume feathers. 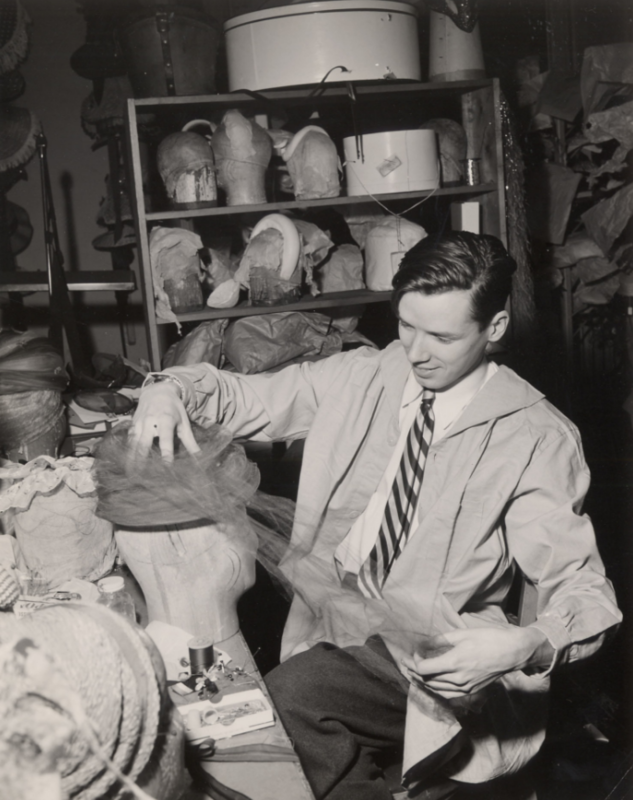 Bill Cunningham, famed American photographer known for recording street style, had a brief yet highly acclaimed career in 1950’s New York as a milliner under the name William J with clients as varied as Brooke Astor and Marilyn Monroe. 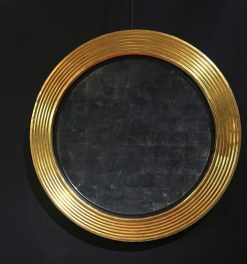 His success continued, having designed headdresses for Truman Capote’s Black and White Ball in 1966, until 1967 when he began his career in street photography. 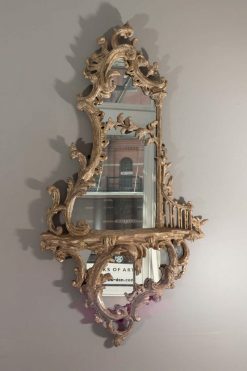 He used the skills he learned as a milliner to design a few select pieces of furniture and objects, now mostly undocumented. 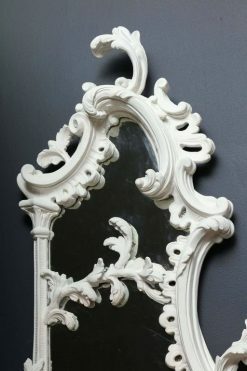 The present mirror is the only known example of its kind.